LM-550A has an enhanced feeding and half-cutting system that provides you with marking speed at 40mm/second. LM-550A can make 52pcs of 20mm-length tube per minute! 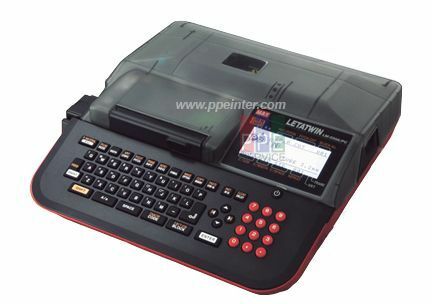 LM-550A/PC can save 250,000 characters (5,000 characters/file, up to 50 files) in its built-in memory storage. 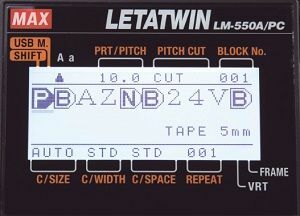 LM-550A/PC features USB port for a­direct cable connection with a Windows PC (for direct printing or file transfers),­and a USB flash drive slot for tranferring computer files made in our dedicated "LETATWIN PC EDITOR" software. To optimize printing quality for your media, multiple combinations of print settings (such as vertical/horizontal print positions and print density) can be saved. Backlit LCD display makes for easy ­operation, even in a dim­ workplace. You can adjust the half cutting depth with the "Half cutting depth adjustment lever" to suit your­ tube ­or tape marking needs. 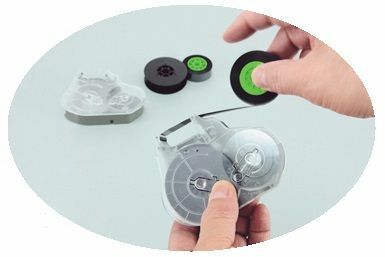 The pitch of the­ marker can be adjusted easily, and has a wide size range in order help you make the markers needed at your site. 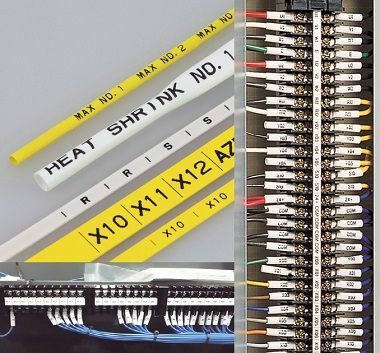 Improve your cost performance by using our economical ink ribbon system. There is no need to throw away the entire cartridge. Simply replace the ink ribbon! For Windows 10/8.1/7 operating systems. Windows is a registered trademark of Microsoft Corperation(US) in U.S.A. or any other countries.